The Manila 2010 amendment of STCW Convention came into force on January 1, 2012. However, there is a five-year transitional period wherein the provisions of this new amendment is implemented. After January 2017, all seafarers must meet the 2010 STCW standards. 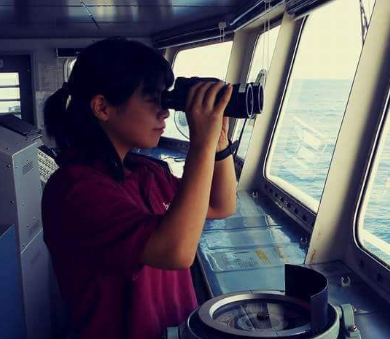 The first training requirement for every person who wants to be a seafarer is the Basic Training (BT). This course has many names including Basic Safety Course (BSC), Basic Safety Training (BST) and SOLAS Training. Minimum standard of competence for Fire Prevention and Firefighting. A trainee will be competent to take appropriate measures for the safety of personnel and the ship. and use of. He will also have the knowledge of fire prevention as well as using fire appliances. This course will give seafarers an insight into the various elements of a ship and working procedures on board. This will enable them to adjust to the shipboard environment. Also, they will be better prepared to cope with any unforeseen circumstances. By applying this course, their transition from shore to sea career will be smooth. They will have some knowledge of ship’s working before they actually step on board a ship. The trainee will have minimum standards of competence in personal survival at sea in the event of the ship abandonment. The trainee will have competence on taking immediate action upon encountering an accident. He or she will have the know how on applying first aid during medical emergencies until help arrives. Now let’s take a look at the differences between the three. Updating and Refresher Certificates Basic Training. The course only takes eight hours or one day and you will be given a new updating training certificate aside from your original full BT Certificate. Your BT- Refresher shares the same feature with the date above. If you took your Basic Safety Training before August 30, 2013 and plan on getting a Certificate of Proficiency (COP) anytime after that date, you have to take a refresher training course. Moreover, all seafarers must undergo a validation of his Basic Training every five years- PST and FPFF only. This is to show evidence of having maintained the required standards of competence. This means that you and me must have a refresher training on these modules every half a decade. The course takes 16 hours or 2 days. You will receive a new refresher training certificate aside from your Updating and full BT Certificate. You will also have to exhibit competence in this training upon visiting the training site. This applies to fresh graduates and non-maritime professionals who want to seek employment on board ships. You will experience the full courses of Basic Training in about 5 days. You will learn theoretical and practical assessments on all four modules. You will learn the basics of fire prevention and fire fighting which is very important on board. You will know how to work well with different nationalities and different cultures in the PSSR module. During distress and the need to abandon, the knowledge that you learn on PST will help you get through the toughest times until rescue arrives. Ships have very limited medical facilities. Elementary First Aid will compensate for that lack until professional help is present. For seafarers who have really old BT Certificates, you may also have to take the full course. After that, you will receive a brand new certificate which is in compliance with the Manila 2010 Amendments. This is just one of the requirements to work at sea. There are other training, vaccinations, documents, visas and costs that seafarers must also bear which can be very expensive. Do you still want to become a seaman?